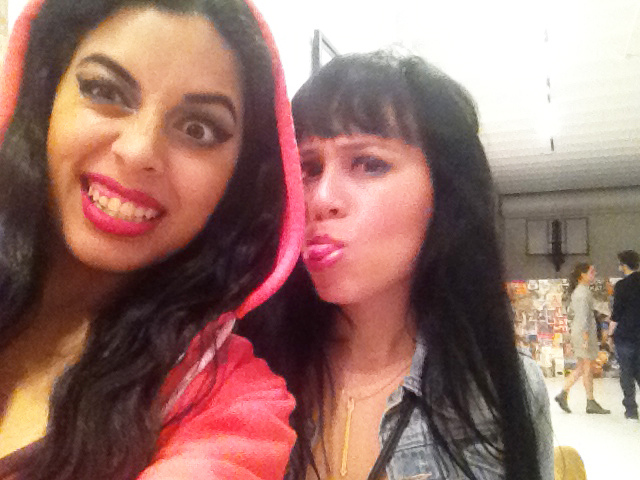 Art Basel with KD in Miami: Day tres! Day 3 in Miami with the KD crew was one for the books as it was the grand opening of the Cope2 “Rise to the Occasion” exhibition and Indie184’s “Kweenz Destroy” pop up shop. 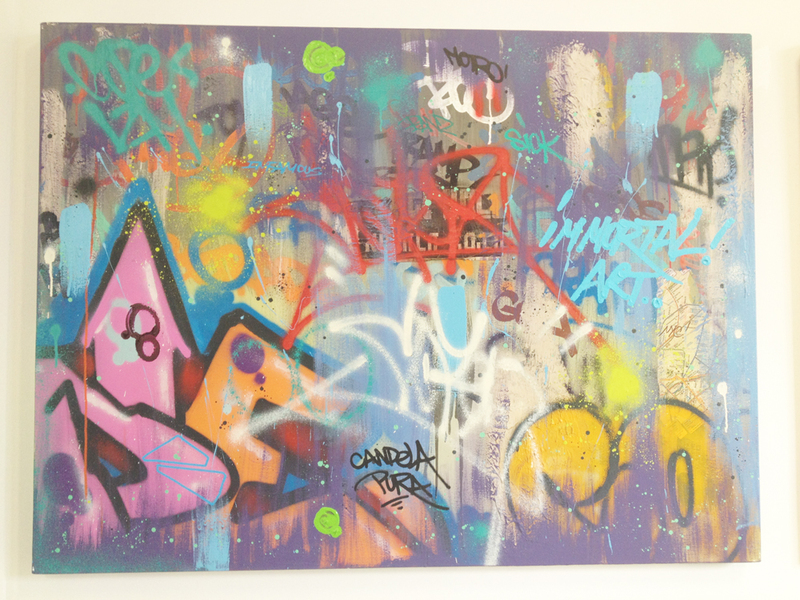 It was an incredible opening reception and the gallery was flooded with people who adored the originality and authenticity of Cope2 and Indie184’s work. 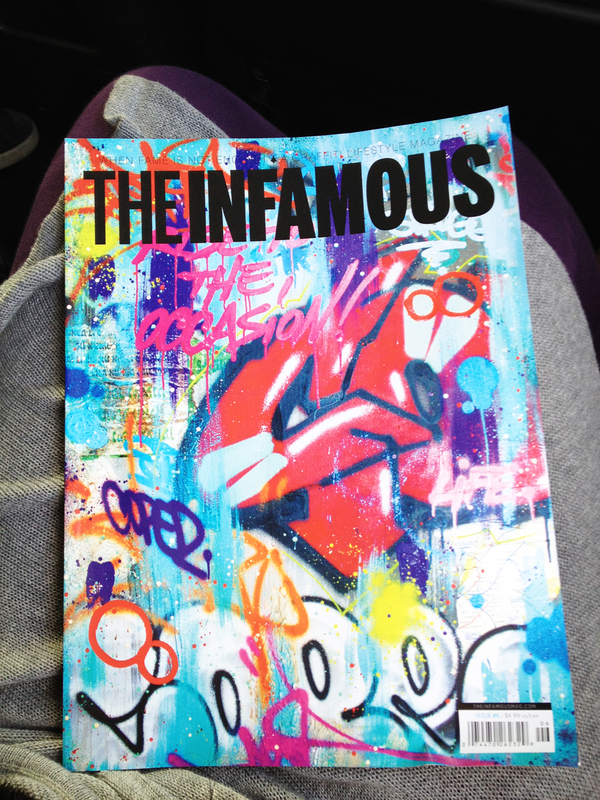 Magazines like Juxtapoz, Paper, Hypebeast, and Infamous were raving about it. 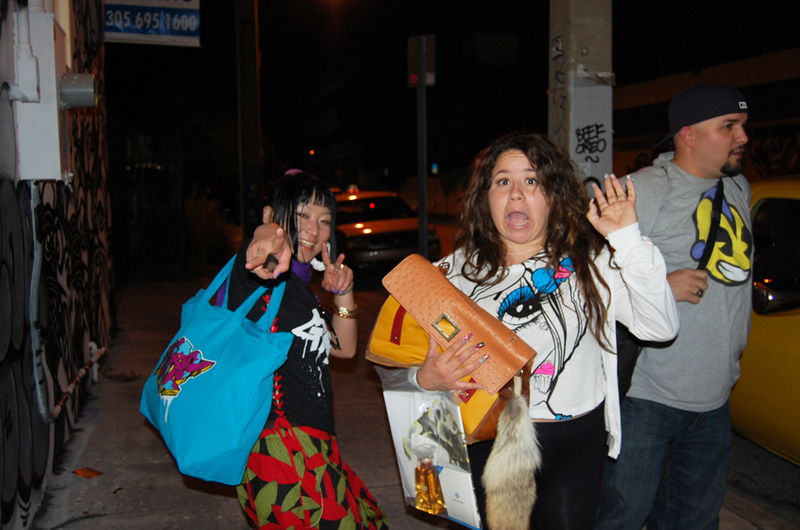 The Kweenz Destroy pop-up shop was also a huge success. I was dressed head-to-toe in Indie’s new collection and women were gagging over it whilst cleaning us out of last seasons apparel. This time, Indie had outdone herself with amazing graffiti leggings, crop tops, and pop-art sweaters & Tees. 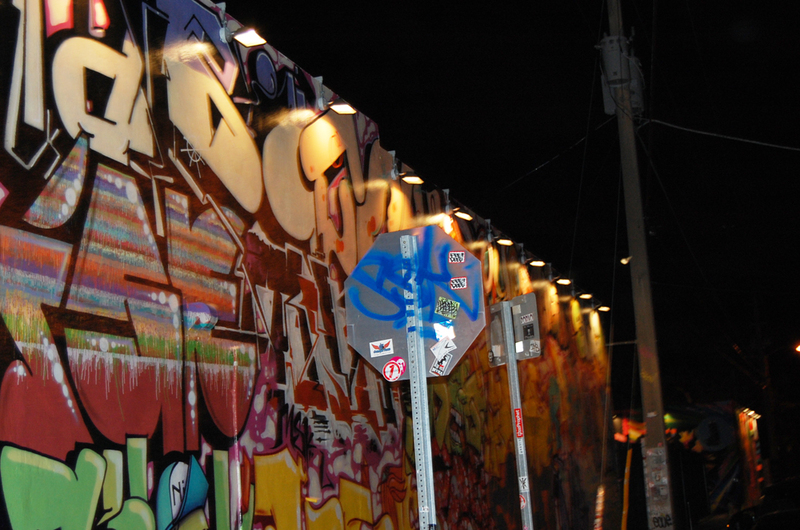 Only the people who came out to Wynwood were able to see the collection before it drops. By the time the event was over, our guest book was flooded with emails of women who wanted to pre-order the new collection. As the special guest for the KD pop-up shop, I was so delighted that many of my readers came out to visit. It was the perfect meet and greet moment for me as I signed postcards and got to know my wonderful readers outside of the computer screen. That was the best part of my trip to Miami, I met so many people and built so many friendships I can see lasting a lifetime. Check out more details of day 3 inside! 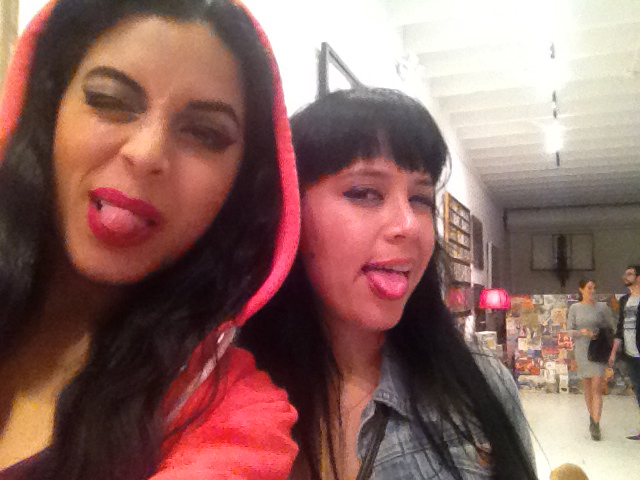 In front of the Gallery drenched in Kweenz Destroy’s new collection! Behind me is a Cope x Indie throw-up! I literally died after seeing a PDF of the new collection and it was no different when I tried everything on in person. I can’t fully express my love for Indie’s work. I didn’t waste any time and wore Kweenz Destroy for the opening! P.S my shoes are by Steve Madden 🙂 Love! 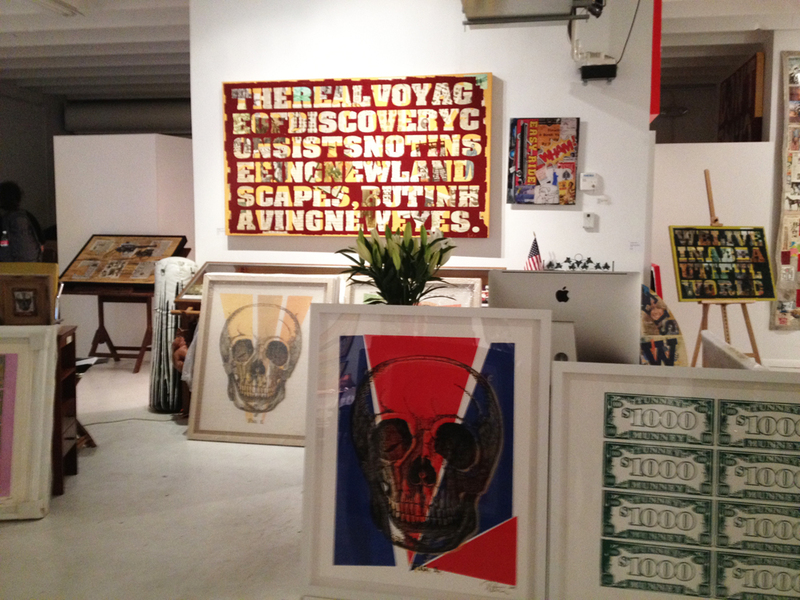 If you didn’t make it to Miami for Cope2’s gallery/Indie184’s Kweens Destroy Pop-up shop, here is a first look! 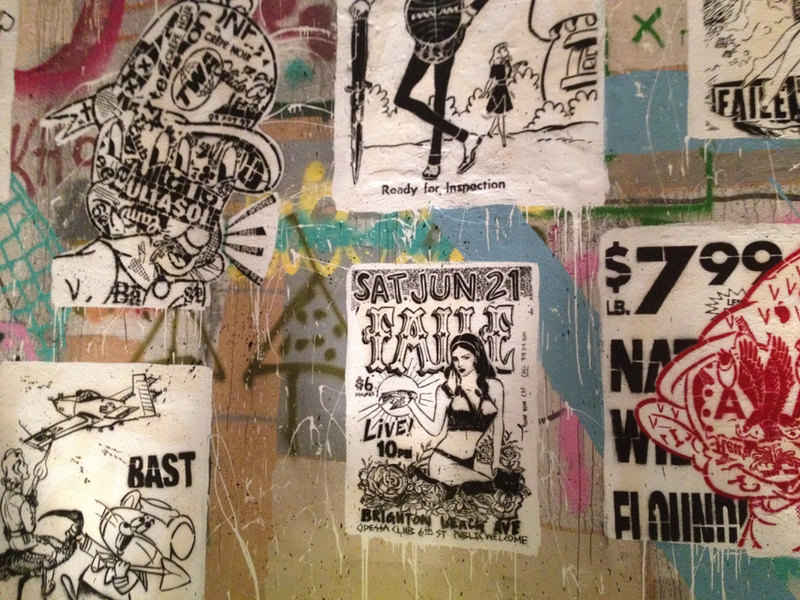 The Kweenz Destroy stationary where last season was showcased and sold along with Indie184 Bic Buddy’s, stickers, patches, and totes! All of these tees were gone by the time Art Basel was over. 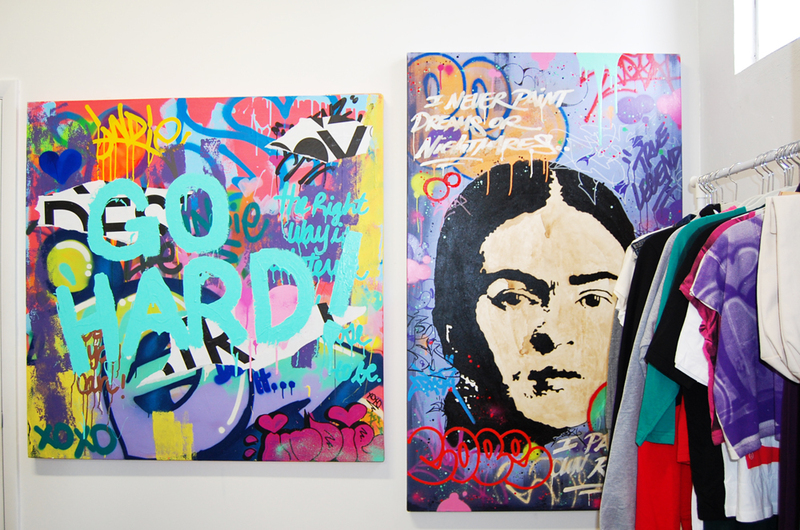 Aside from the pop-up shop Indie184 showcased two very powerful pieces alongside Cope’s work. Everyone loved them! 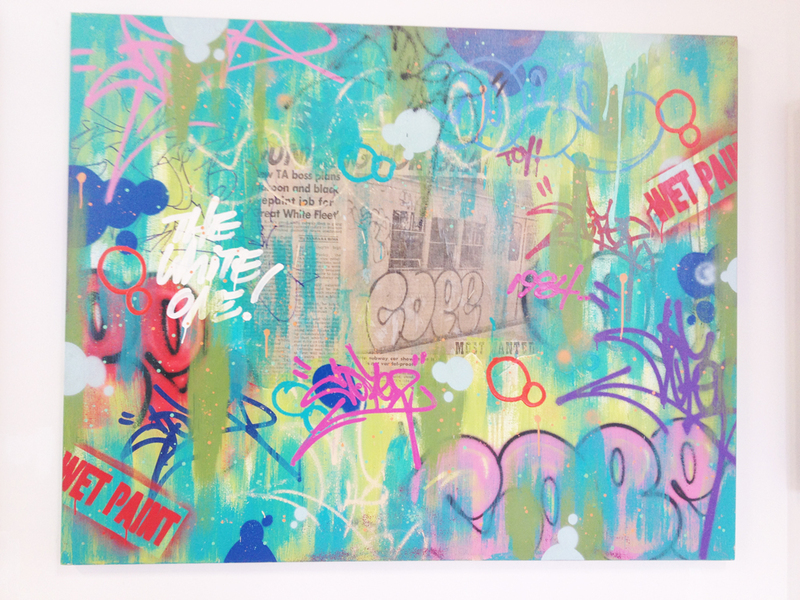 This is a Cope2 print of a huge canvas specially created for this opening, we sold a bunch of these too. 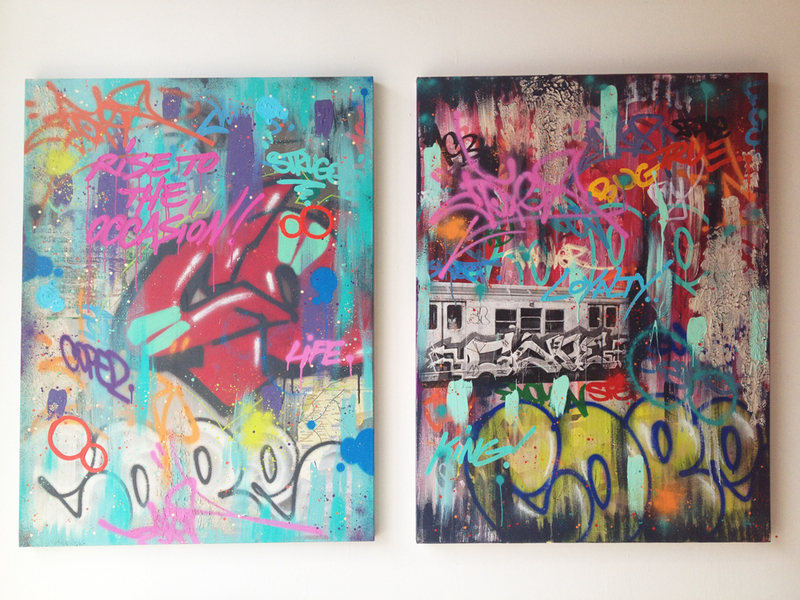 These are Cope’s actual paintings on giant canvas’. I love that he kept the aesthetic of who he is/was inside of his work. 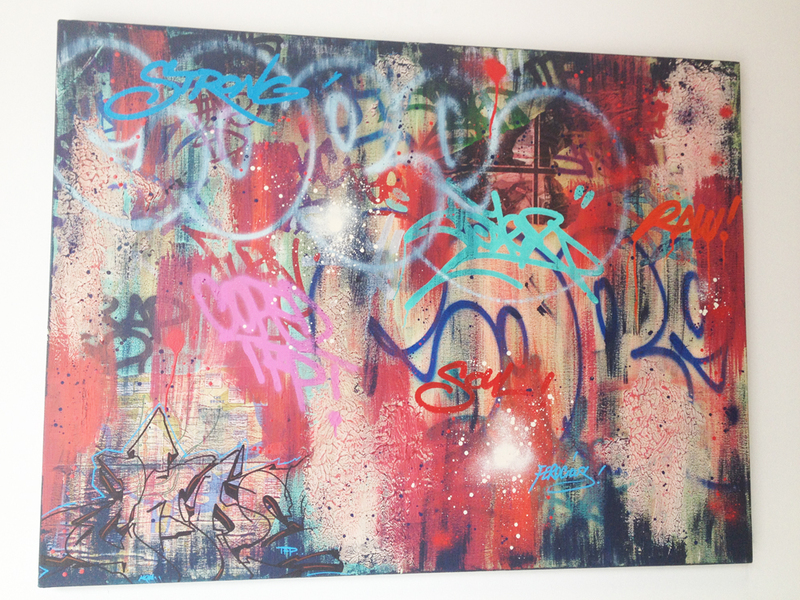 It was original and authentic to who he is and what graffiti was about in the 80s. 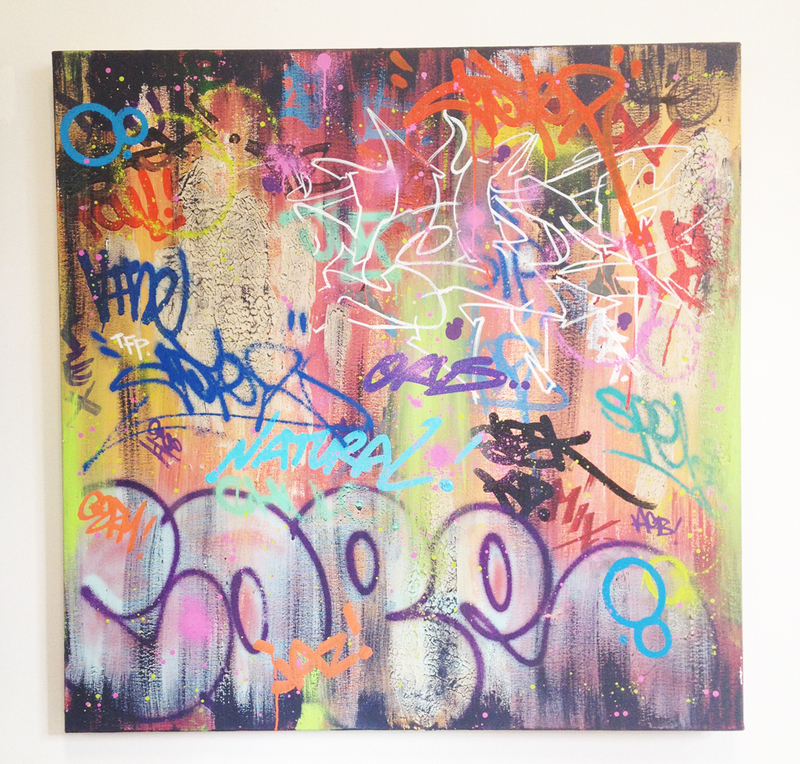 If you look closely, Cope uses powerful terms of inspiration in his work. 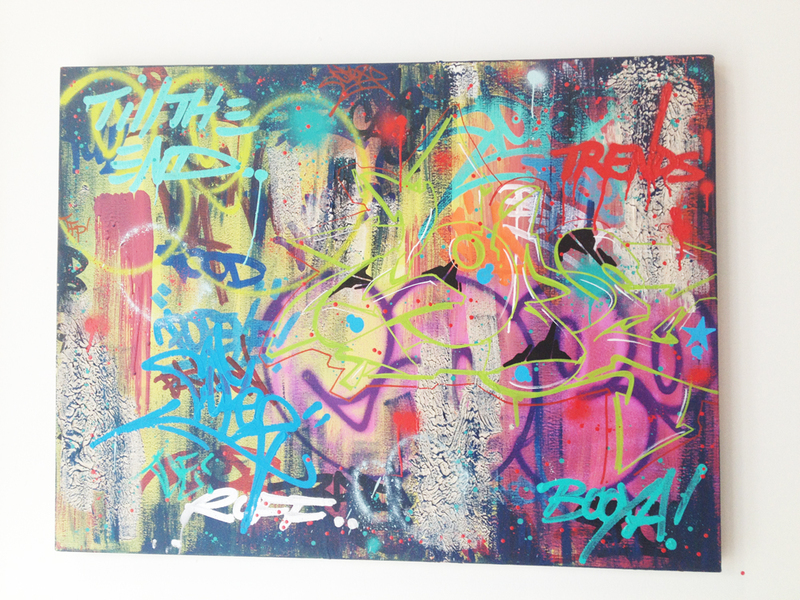 It is a sprinkle of positivity to anyone who graces their walls with his pieces. Many of his paintings were sold. That wasn’t much of a surprise lol! 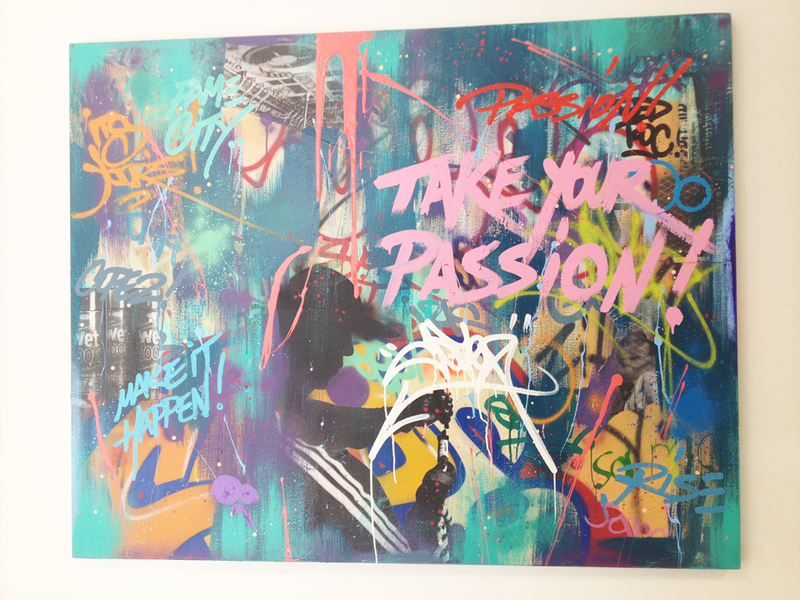 “Take your passion, make it happen” This painting happens to be my favorite. I had learned that Cope includes his family into his work. It is so sweet that his kids take part in painting within his canvas’. It makes the painting even more special and personal. This painting was the most popular of them all, it was sold immediately. lol Jose had the whole room flashing with all of the pictures and video footage he shot. My girl Ingrid came to the opening to hang out, I love her and we spent most of our time in Miami together admiring the art, hanging out at the gallery, and partying at night. 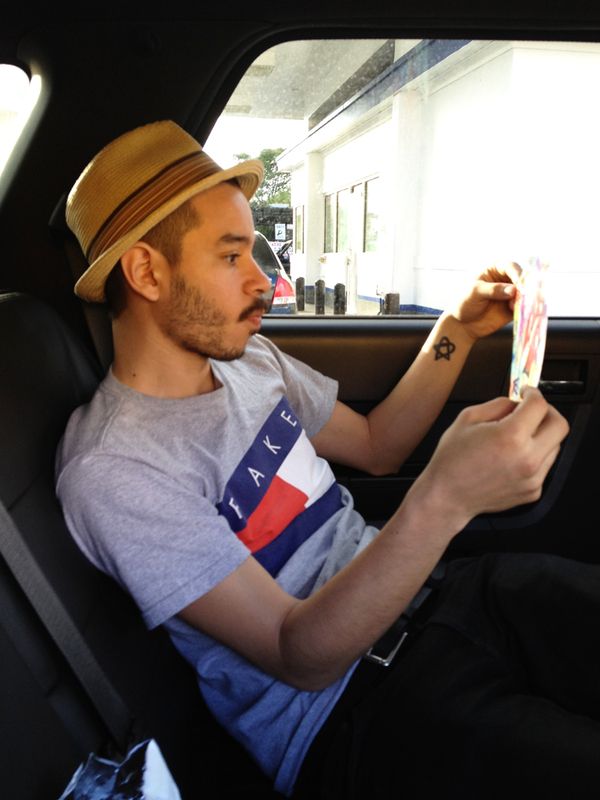 This is Felipe from Rok the Spot, he has been a great supporter of VV.com for a while now and stopped by to give me this cool t-shirt. He was so sweet and even informed me about many of the events in the area since he is a Miami native. Signing postcards! I am Vinny hear me roar! Look at this cute lil pinup pumpkin pie! Taking a flick with T-Kid. 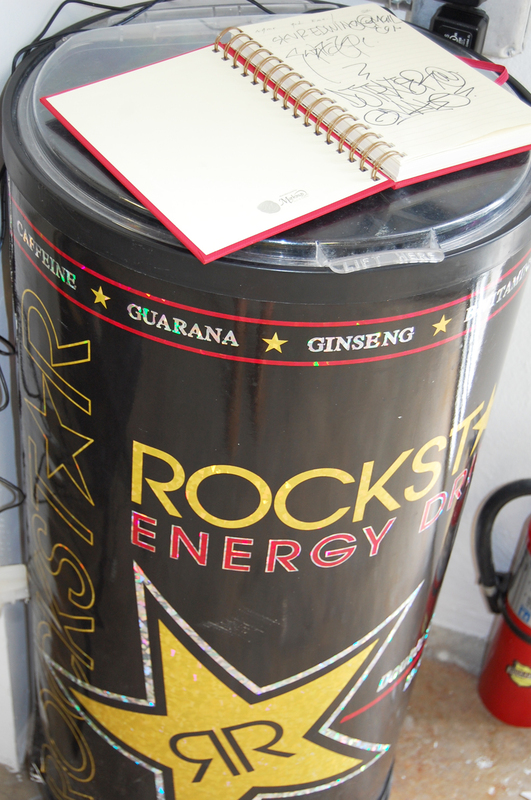 Rockstar drinks sponsored our event and kept the crowd cool and hydrated. While walking around the area earlier that day I got a glimpse of a cute lil Brainy character. I mean, how facking cute is this lil big guy? 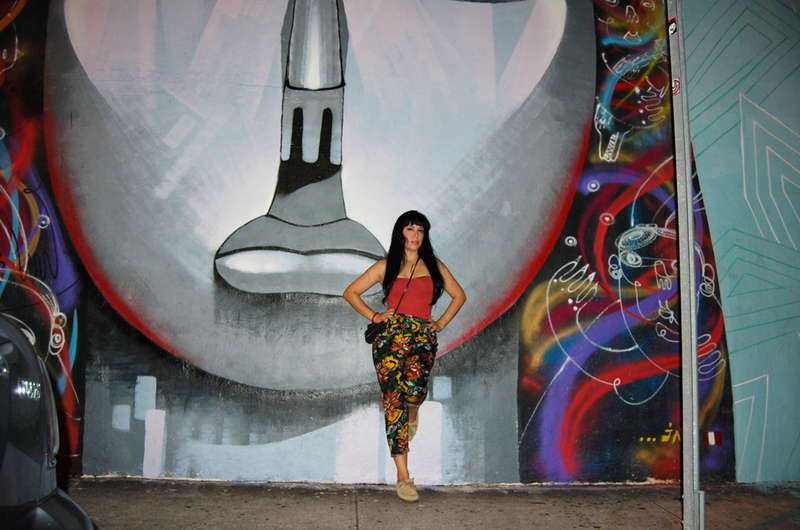 Ewok 5MH is the mastermind behind this giant painting and his character was all over Wynwood walls. LOVE. I also came across the finished Buff Monster x Cope collab. I love it! 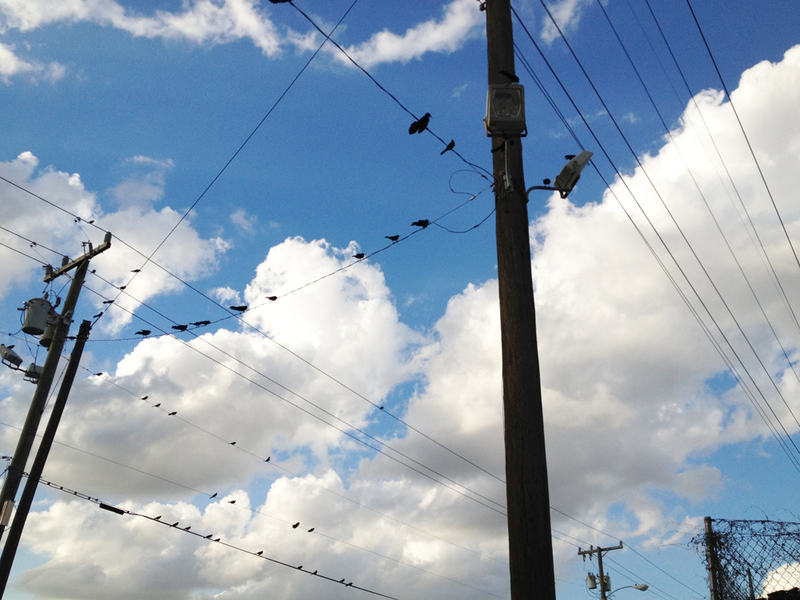 Jose had me take pics of these birds, he has such a good eye! 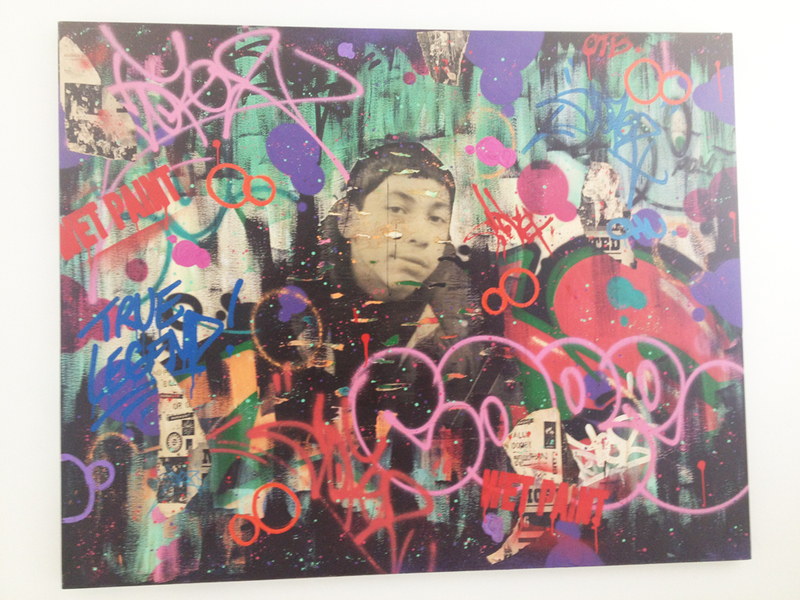 The Infamous mag was buzzing about Cope’s new exhibit along with a full story about his life as a Graffiti legend. I would sneak pics of Jose just to bother him haha. Look who it is! Its Shiro and Sand Oner! I had the pleasure of meeting these two lovely talented ladies at the gallery. They were so sweet! 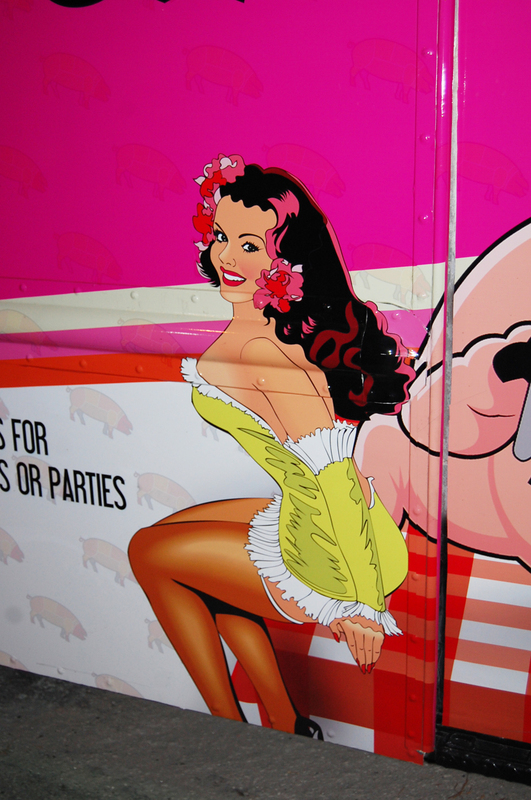 While walking around Wynwood I came across a cute truck with a pinup painted on it! LOVE! Art everywhere. Ingrid being caliente! Strut! Wepa! 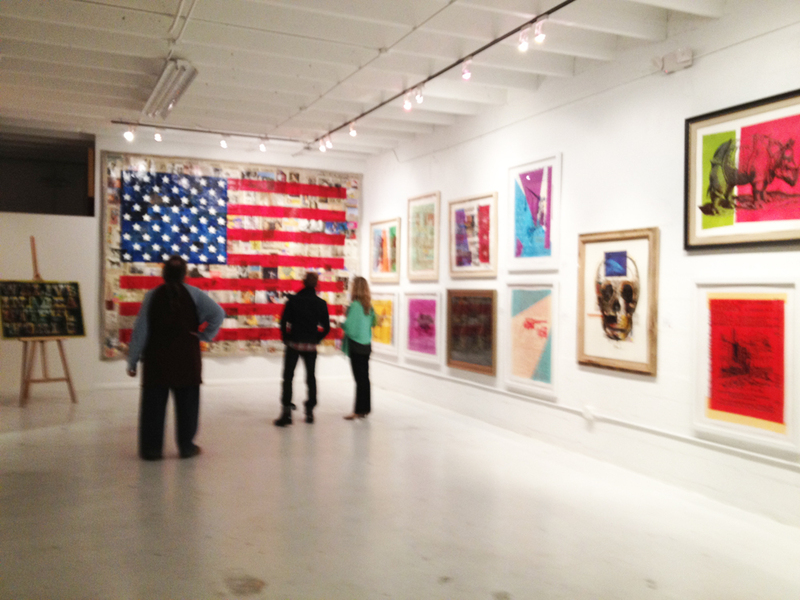 We stopped by a few galleries at the Wynwood walls. The skulls were my favorite of course. This piece was also really cool. Us being silly! 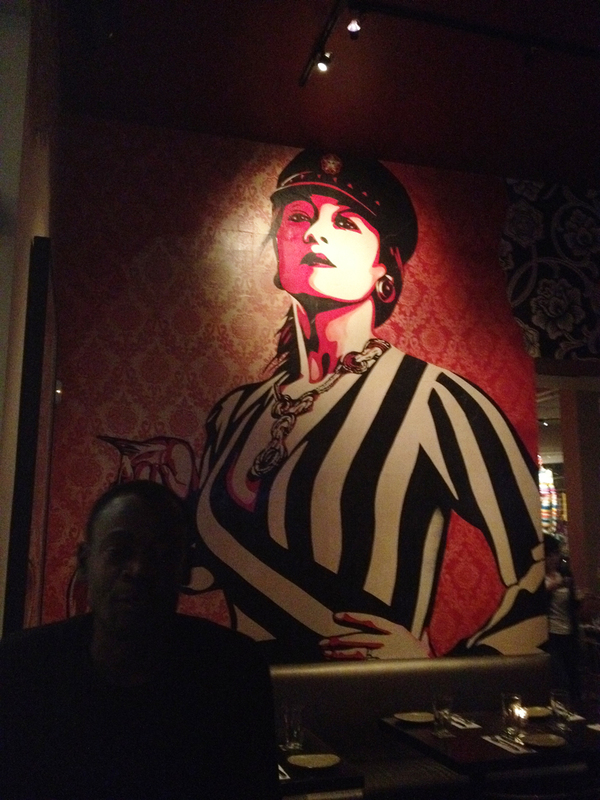 Shepard Fairey kills me with these beautiful images! Love love love! Amaze! Good times! 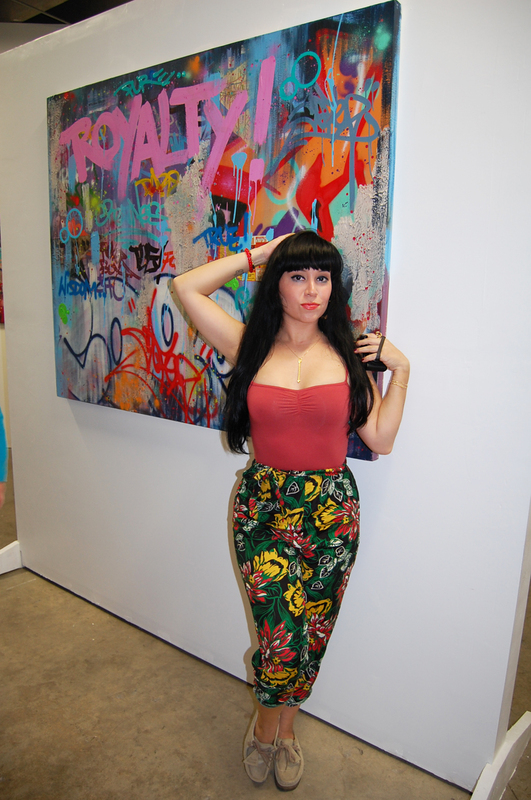 ← Art Basel with KD in Miami: Day dos! I love it perfection top of the line girl! 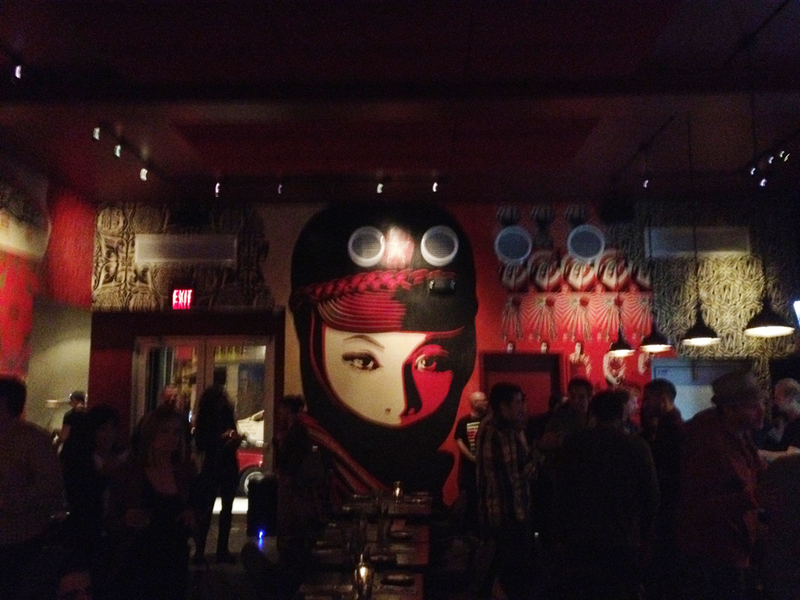 I agree, another great post capturing all the great pieces of these Grafitti artists. Great Job! Great post. The art is amazing. Geez Louise Girl! I LOVED LOVED LOVED this post! I think this is my fave post you have done to date! I’m in LOVE with graffiti art. 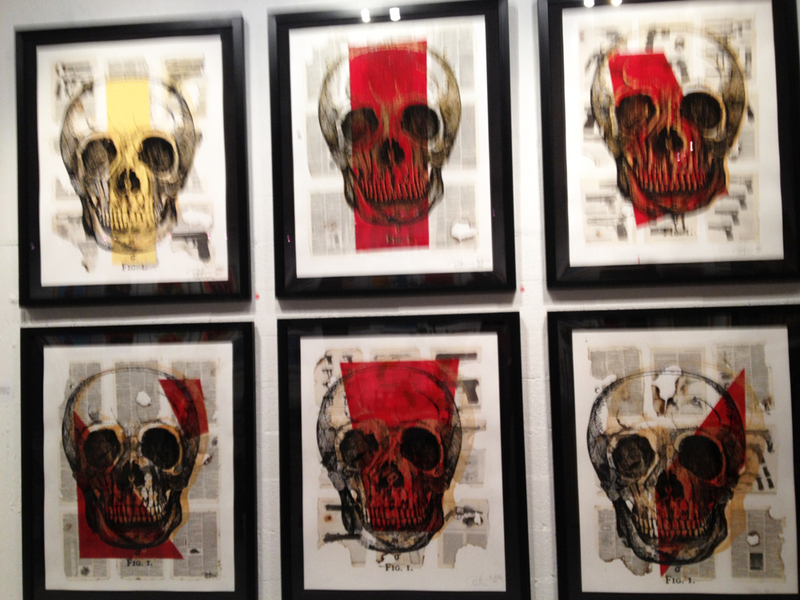 I would love to own one of his pieces. I’m an up and coming art collector myself. Furthermore your outfit is heaven to my eyes. I’m gng to feature your look on my site next week under Something to Wear. It’s where I list the top 10 blogger looks of the week. 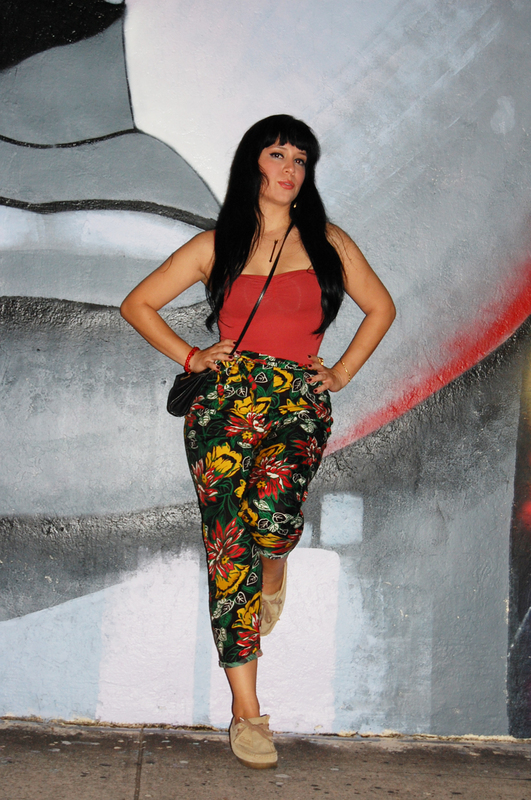 Im on the Vintage Vandalizm website!!! Im gon’ be famouuuuus!!! It was great to finally meet you Jasmin. Im glad you had so much fun while you were down here. Miami awaits for your return.